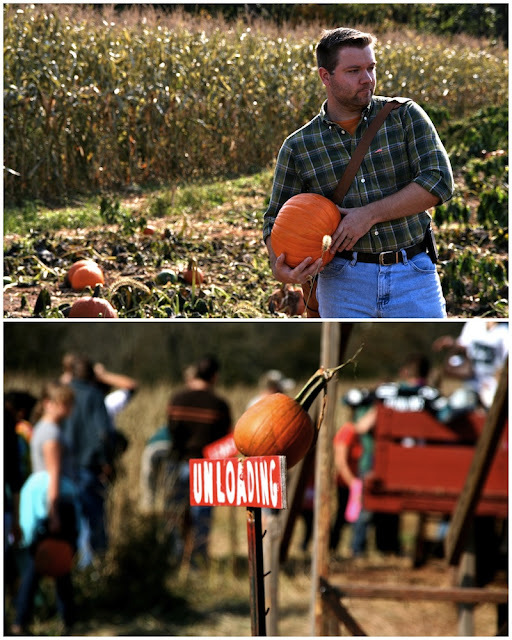 Every local farm and church seems to have their own fallfests filled to the brim with pumpkin fun. 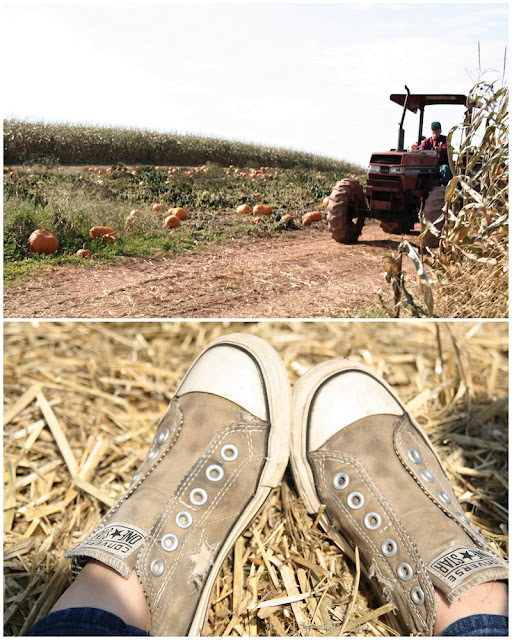 The farms run hayrides to their pumpkin patches, where you can wander, hidden amongst the corn, to find that perfect pumpkin to adorn your country porch. 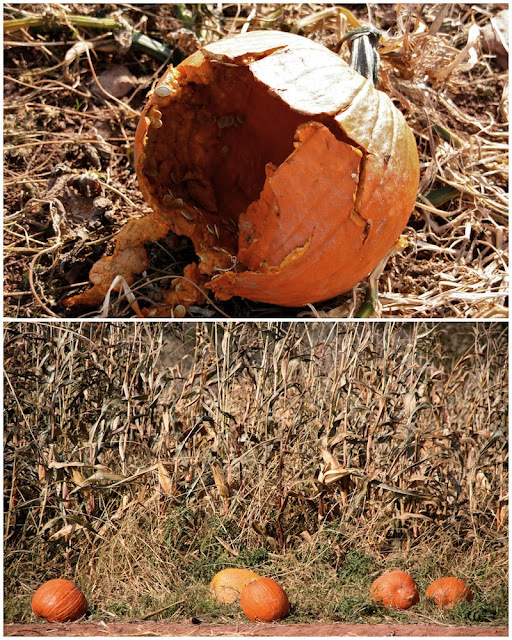 One fellow pumpkin-picker claimed that the reason the farms run hayrides to the pumpkin patches, which are nestled deep in the farm amongst the fields of corn, is to prevent wayward autumn revellers from stealing their produce. I'm sure it'd be a formidable, spooky place to visit at night - some places out here do offer night-time hayrides and scream events. And, just because I'm British and I have to mention it, the weather has been impressively warm over the past couple of weeks. Slowly but surely it's becoming crisper by night and day, but I can still feel the heat of the sun, and it's surprisingly bright. While I do miss the lush greenness of Scotland, I don't miss the short gray days of autumn and winter. Plus the brightness here is dream light to photograph. It's about a year since I got my camera and taught myself to use it (with a little help from my friends - thanks). Most of the shots I've taken here and blogged, since moving to the US, have been manual snapshots, and not overly staged. It's a fantastic hobby, and I enjoy it a lot. Moving somewhere new has given me the excuse to be a real shutterbug too. At some point I'd like to take the chance to challenge myself again to learn some new photo-skills. I love pumpkin patches! It looks like you had a lot of fun! your man looks like he stepped out of a country song. love it. I said this to him, and asked if he was offended or secretly flattered. He smiled and said "I'm secretly flattered. Sometimes I listen to country music when you're not in the car with me." Great pumpkin patch shots :) Also love reading your view on American culture. Thanks you so much :) American culture fascinates me. I was trying to explain liquor laws to my British friends yesterday, can't wait to try to blog that one. 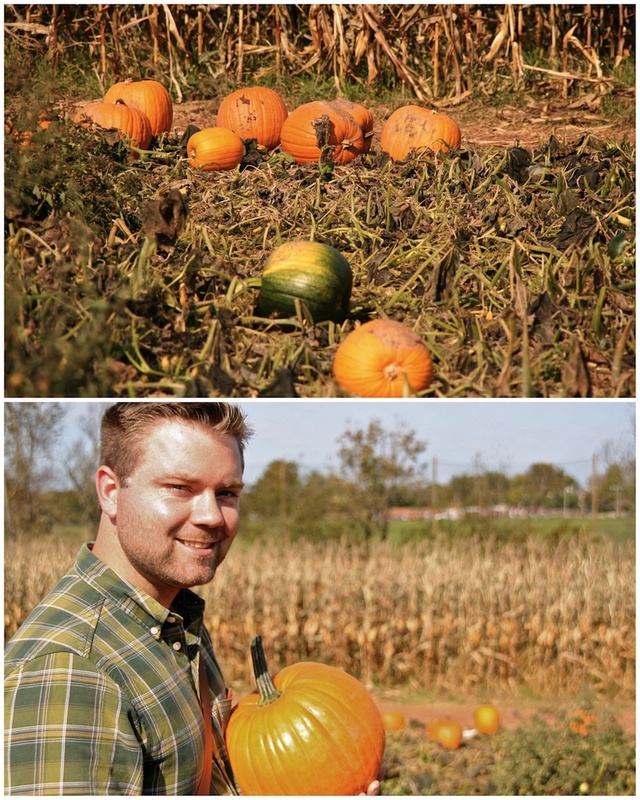 Being in metro-ville we don't have many pumpkin farms although we have a tonne of by the road stalls up, especially more further out from the city. Looks so fun though. 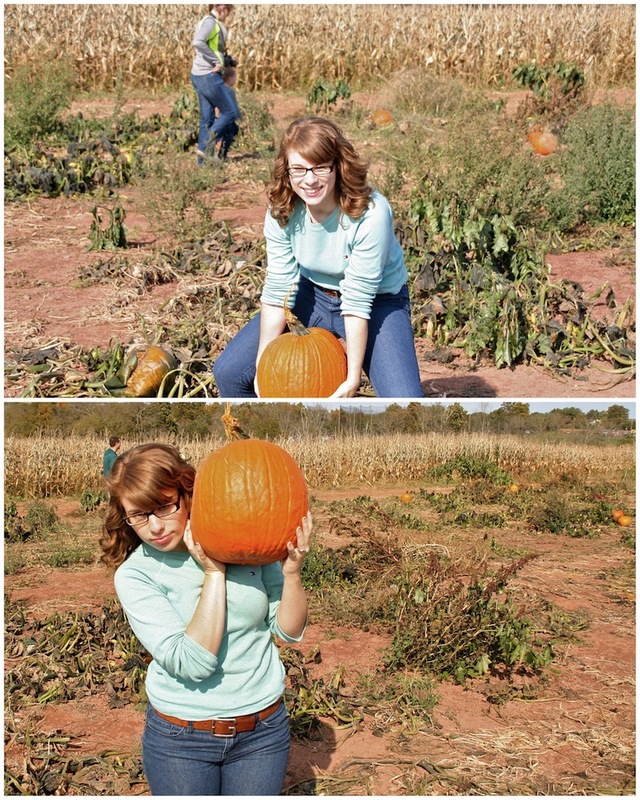 Is it wrong that i've never tried a pumpkin ever?! I don't think that's wrong. As far as I can tell most of these pumpkins are destined to live on people's porches, and the pies are actually made from the tinned stuff. Whatcha doing over there wee lass? Hello :) I'm slooowly making my wee way in the New World.